Made from 925 sterling silver. 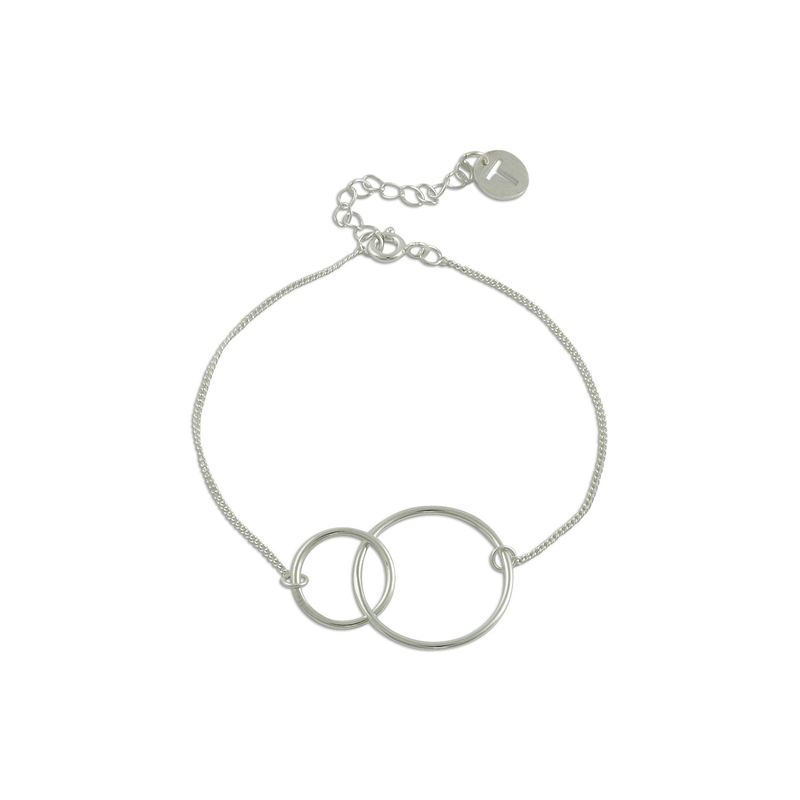 Double your pleasure with this double ring bracelet! 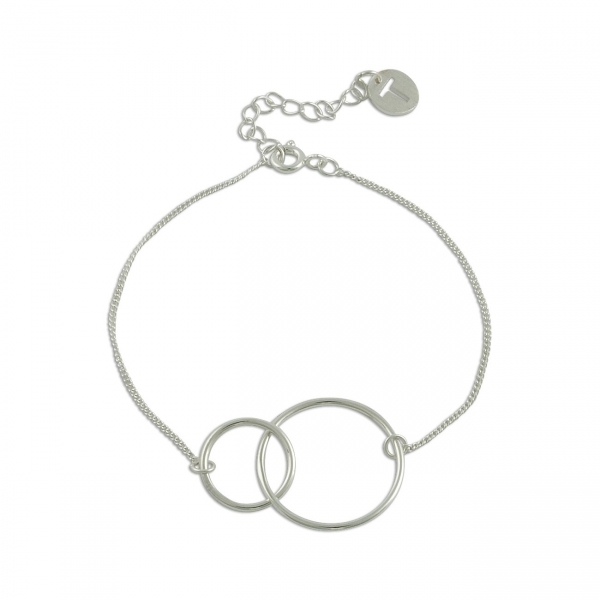 A modern chic piece, the bracelet features two highly polished rings that are linked together. Matching necklace available.